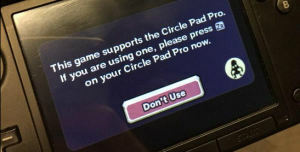 If you aren’t planning on upgrading to the New Nintendo 3DS, than you can still use the Circle Pad Pro. The second circle pad acts identically to the new c-stick that is included on the upgraded model. In Majora’s Mask 3D, this will allow you to control the camera angle and it gives you 360 degrees of camera freedom.